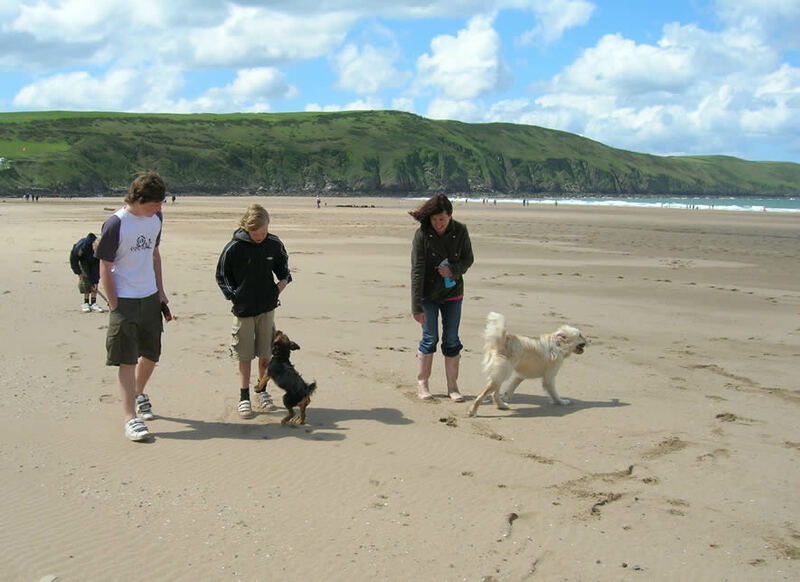 I've returned early from my Devon holiday, leaving my family and RTL and catching the train back up to London for an early flight to Portugal tomorrow. It's only been a brief break, but despite some dodgy weather, I'll remember it as one of the best family holidays we've had. It just worked. 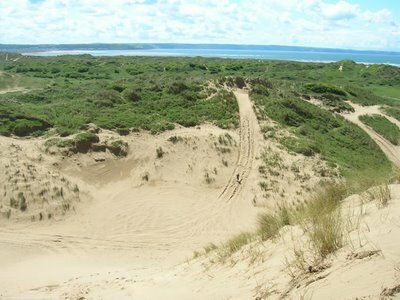 Pictured above is Putsborough beach, and below is a view of Braunton Burrows, looking towards Saunton Sands. As well as outdoor excursiony sorts of things, I've slept a lot and read a book: The Little Friend by Donna Tartt. It's a book that took some getting into, but I persevered because her Secret History is one of the best books I've ever read. The first 200 pages are a little ponderous and self indulgent, and I kept getting lost with all the characters (various aunts and domestic staff kept getting muddled up), but then the book is carried by its plot to a striking ending sequence. Tartt is clearly a brilliant writer, whose prose engulfs, and I recommend this book for anyone with patience and time to spare. If you haven't read Secret History yet, then buy both and read them back to back. The train journey from Barnstaple to London Paddington was a good one, involving just one short change at Exeter St Davids. I can get a lot of work done on a train; more so than when I fly. Ah - I bought Little Friend a while back (on the strength of recommendation on the wine forum) and was about to begin. Should I read the other one first? Yup, although there's no connection between them - it's just that secret history will give you the affection for Tartt's work that will pull you through the longer bits in little friend. Love both books - The Secret History remains one of my favourite books of all time and The Little Friend is ultimately a very rewarding read; it got me into reading William Faulkner, for which I am v thankful. I kept hearing rumours that The Secret History was to be made into a film, although I have not heard anything lately.